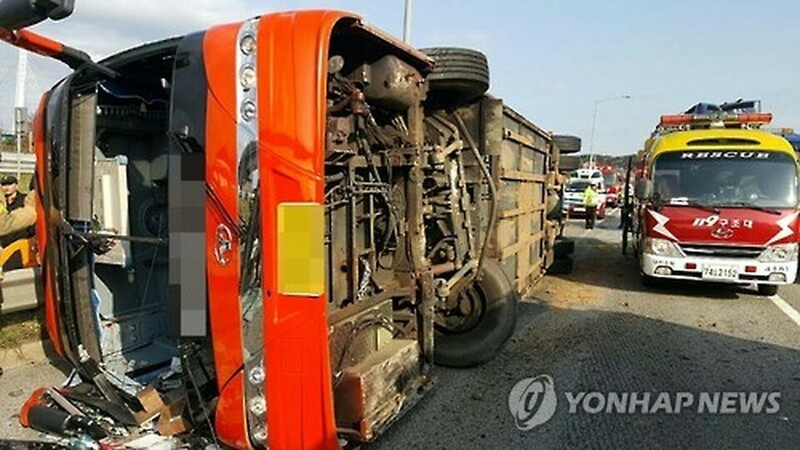 A large tourist bus flipped on its side on a highway in Daejeon, some 160 kilometers south of Seoul, on Sunday, leaving four passengers dead and some 40 others injured, police said, source from Yonhap. The bus carrying 48 passengers, who were heading to Mt. Daedun in South Chungcheong Province from Sunwon, Gyeonggi Province, fell sideways after it tried to avoid hitting a car that abruptly cut into its lane. The passengers on the bus were the members of a mountaineering club on a trip to enjoy the colorful autumn foliage. 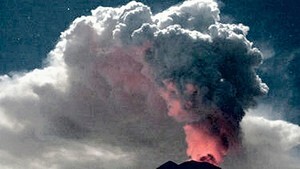 Seven of those injured are in serious condition, police said. "The bus zigzagged and then fell sideways," one of the passengers, surnamed Lee, told reporters. "There was mayhem inside the bus as chairs were broken with the passengers thrown to the floor," he added. Police are currently investigating the accident to determine the exact cause, officials said.